This summer has absolutely flown by! 2017 marks the first year that I haven't had a summer vacation and it has certainly taken some adjusting to (hence the whole blog hiatus thing) and I cannot believe how quickly the months have passed. 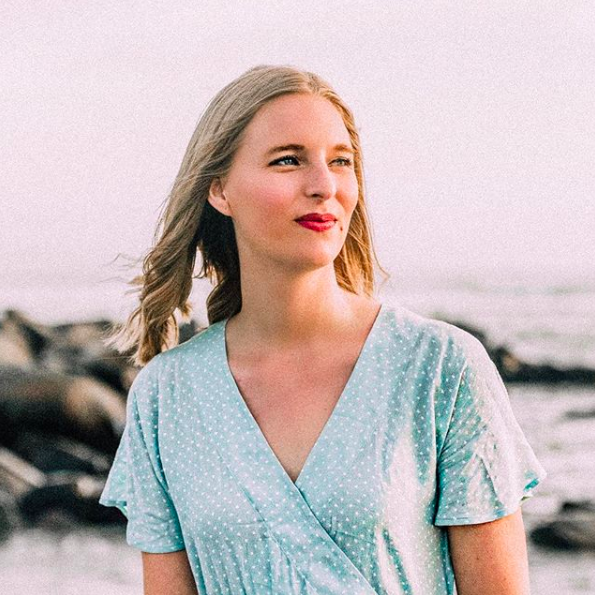 Southern California has a notoriously late summer, with 80° days stretching far into October, so while other regions may be prepping their pumpkin spices and plaid flannels, I've got a ways to go before I'm ready to wear sweaters and boots. For me, I try to embrace fall trends in summery styles. While browsing SheIn's new arrivals section, I was overwhelmed with cute pre-fall styles that will transition so well into fall. Keep scrolling to see my pre-fall picks from SheIn! What's the best way to dress up an otherwise plain piece of clothing? Embroider it! 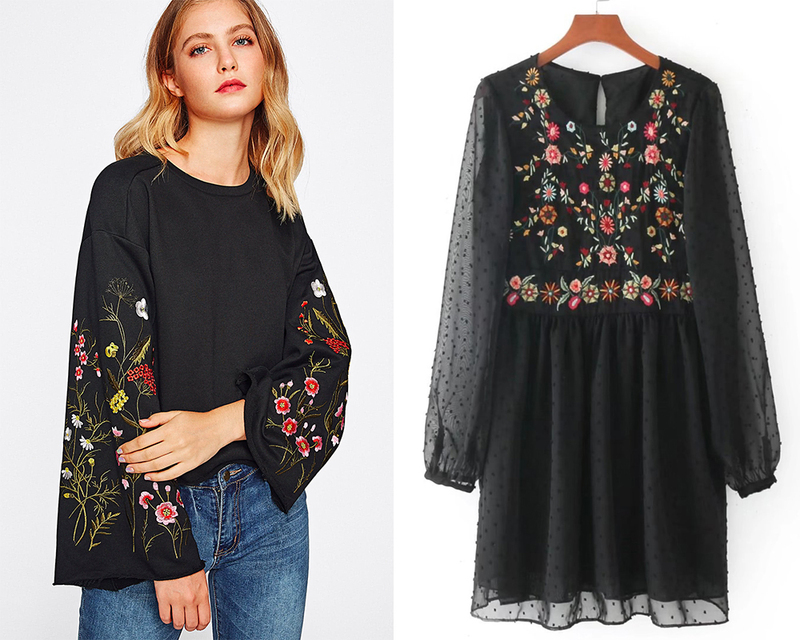 I love pretty flower decorations, and when contrasted against a black sweater or dress, you have a perfect autumnal take on embroidery. I've been seeing duster coats everywhere lately. I love that they are great layering pieces, and definitely intend to add one of these bad boys to my wardrobe. If you live in a warmer climate like I do and aren't sure how much you'd wear a maxi suede coat, consider a kimono duster instead! You get the same layering coolness as a duster coat, but won't get overheated by wearing heavy fabric. Even though it's been quite a while since I've worn a uniform to school, I always find myself gravitating towards tartans and other schoolgirl styles when September rolls around. 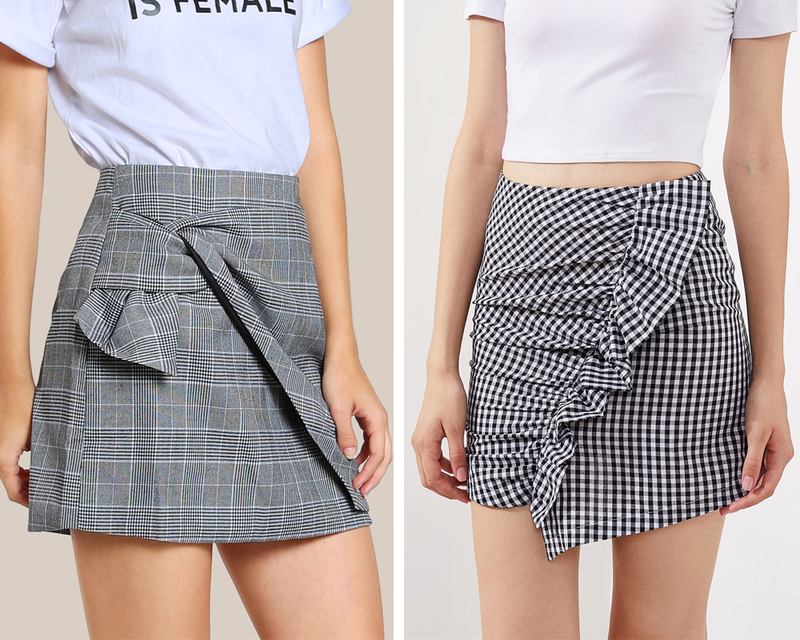 Consider these skirts the grown up schoolgirl plaid: same uniform print but with chic sculptural touches and a modern edge. This fall, it's all about unique spins on wardrobe staples. You know how much I adore decorative denim. Why wear boring blue jeans when you can wear a ribbon-adorned or bedazzled pair instead? What I love most about dressed up denim is that at the end of the day, they're still jeans. 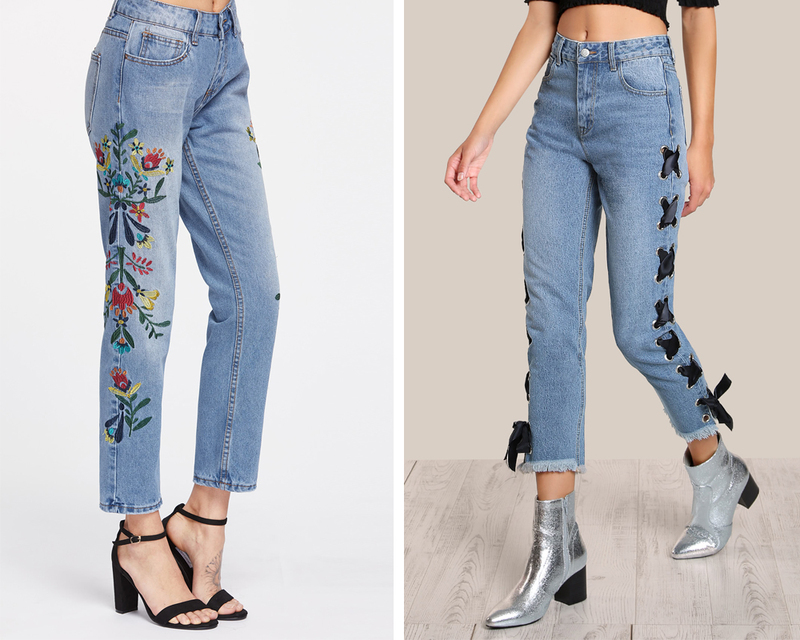 You can wear with a plain white tee or a simple sweater and be totally cozy, but because these jeans are decorative, your outfit will never look boring. What are your favorite pre-fall trends?